Hundreds of thousands of vehicles rumble across the roadways of Florida every single day. There are approximately 15 million legal drivers in Florida, but the AAA Foundation for Traffic Safety estimates 1 in every 10 on the road is driving illegally. Although some never had a license to begin with, others had their license suspended or revoked. 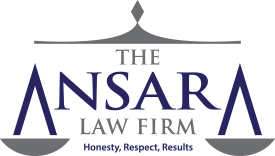 At The Ansara Law Firm, we recognize that many times, the reasons for one losing their license has more to do with financial reasons than bad behavior behind the wheel. For example, some lost their license for failure to pay parking tickets. Others for missing a court date or inability to keep up with child support payments. But when drivers get caught driving with a suspended license, these civil matters quickly turn into criminal ones. It becomes cyclical because a person loses their license because they can’t pay the fine, only to need more money to cover the cost of reinstatement, which they can’t pay if they can’t get to work, which they can’t do if they can’t drive. Too often, drivers neglect to seek legal counsel and simply plead to suspended license charges without fully understanding the long-term negative consequences of doing so, not just for their driving privileges but for their criminal record. Having an experienced criminal defense attorney on your side can help you get back on track. Failure to maintain continuous insurance. Your criminal defense attorney can be a key resource to help explain mitigating circumstances to the judge and to negotiate for options that will result in lifting the revocation or suspension. The office of driving with a suspended license is spelled out in F.S. 322.34, driving while license suspended, revoked, canceled or disqualified. If you drive knowing your license has been suspended, revoked or canceled, you could be arrested and charged. If you are convicted, your penalty will depend on a number of factors, including your prior criminal history. First Offense: Second-degree misdemeanor, up to 60 days in jail, maximum $500 fine. Second Offense: First-degree misdemeanor, up to 1 year in jail, maximum $1,000 fine. Third or Subsequent Offense: Third-degree felony, up to five years in prison, maximum $5,000 fine. If this is your third offense and your two prior offenses happened within a five-year period, the DHSMV will label you as a Habitual Traffic Offender. In that case, you’re looking at a five-year license revocation. Worse, you are not even eligible for a hardship license until a full year has elapsed from your most recent conviction. The good news is if you are arrested for driving with a suspended license, there are a number of possible defenses that could be effectively used in your case. It will depend on the individual circumstances. Defendant’s license had been reinstated or defendant had reason to believe it was reinstated. In cases where there might not be any viable defense that will completely get you off the hook, we will work to negotiate with prosecutors to either have the charge amended to some lesser offense, such as a civil citation for failure to display. This is most effective when defendant has a minimal driving record or in cases where the defendant gets a valid state driver’s license before entering the plea. An amended charge can drastically reduce the potential penalties and life consequences one would face if he or she is convicted of driving with a suspended license.